United Soccer Academy works with children of all ages on a year-round basis. 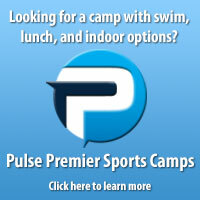 We are confident that we offer your child and community the best soccer experience possible. But don't just take our word for it. We get hundreds of reviews every year; read below to see what some parents are saying about our soccer programs! "USA soccer renewed my girls’ interest in soccer and with its positive environment boosted their self esteem. Thank you for such a great experience." "It was an extremely well run camp with a fine professional cadre of instructors." "This is one of the best programs my son has taken... I highly recommend the program to all. My son loved it!" "I can’t think of anything you could do better. Super program. To keep my 8 year old happy, busy and looking forward to the next day is amazing! Coaches were great!" "Lucie loved every aspect of your program. It far exceeded what we expected it was going to be." "I have had my son with USA before and have always been impressed with how well they teach skills and how they make it fun for the kids. Friends who have also used USA have always said good things. The instructors are knowledgeable and really like the kids." "My daughter was the youngest and smallest child in this program and it was her first organized sport. The coaches always made sure she was participating at her own speed. This camp exceeded my expectations on every level. I can’t wait to do it again, and my daughter wants to play soccer everyday. Thanks for a great introduction to soccer." "I thought this was an extraordinary first time experience for my 5 year old son. The coach did a tremendous job keeping the children engaged in activity and treated all children equally." "My daughter Sara absolutely loved your program! This was her first time learning about soccer and she couldn’t wait to come back the next day. Her instructor was awesome with the kids too. She will be back in the fall." "I think the program was perfect. My child showed no interest in soccer until this class. Thank you for all of your hard work." "I have to say your coaching staff were second to none. I will recommend this program to my players and other coaches." "The coaches were great with the kids. My son was so much more confident after only one week of camp. Thank you." "Coach/leader’s positive attitude and willingness to go the extra mile in helping my son develop self confidence, build on his social skills, and make him feel special." "We were really impressed with the coaches’ skill level and their organization. We felt really safe leaving our son at camp. He had fun every day." "Your staff and coaches were a pleasure, my son loved working with Coach...and as a parent I was very comfortable with their security and direction over my son." "My daughter had an awesome time! She loved it! And – being a business owner which deals with children as well, I could see immediately how caring the staff was of the children, I was very happy to see that."